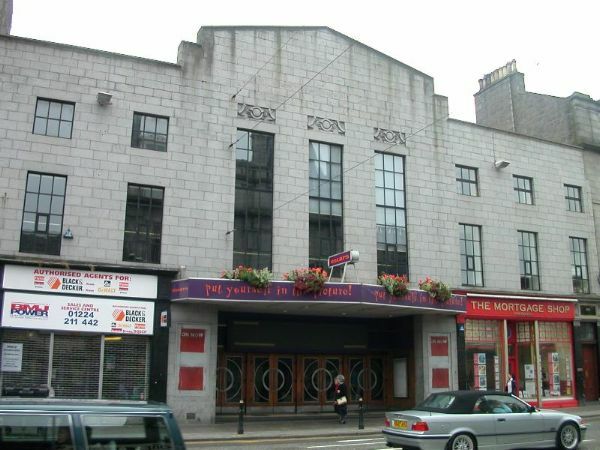 The Capitol opened in February 1933, on the site of the earlier Electric Cinema, seating 2,100 to the plans of architects AGR Mackenzie and Clement George. The interior was designed by David Stokes, and was the first cinema in the UK designed from the outset to incorporate a full Holophane lighting system in the auditorium; this allowed up to 17,000 colour combinations to be projected in time to music. It was built with full stage facilities, including a full-height fly-tower, four dressing rooms and a Compton organ. The proscenium width was 38 feet, and the stage was 32 feet deep. The Capitol closed for regular film showings in the 1960s, but it was used also for occasional rock concerts until the late 1990s; it was largely moth-balled since 1998, except for the use of the restaurant as a bar. The B-listed Art deco interior was extremely well preserved at this point. Sadly permission was granted in 2002/3 for conversion to nightclubs, which saw the auditorium split horizontally to form two large bar/clubs, and the rear stage wall cut open to create a large glass wall and additional entrances. The original restaurant is now out of use. Plans to restore and return the Compton to the building have yet to take place. Pictures of the current nightclub interiors can be found here, courtesy of Tom Widdows. A shot of the exterior of the fly tower prior to rebuilding is here; and the corresponding view now here, the latter courtesy of Derek Mathieson. An image of the Compton organ, being played by Michael Thomson, is here, courtesy of Frank Watson / SCOT.